The 4 Peaks is arguably the toughest 24km in South Africa with a vertical accent of over 1800m.The route is unique as it takes you in a circle around the Main Lodge, which is the hub of activities during the weekend. This event is a Family affair and the location allows us to cater for all, with a kiddie’s treasure hunt to game drives and Horseback riding for those that are not participating in the race. This is a self-supported and self-navigational race and as the route is circular it makes it a good entry level event for those that are looking for something more challenging than running on the trail. The 24 Km should not fool you into a false sense of security as this is extreme Mountain running and is the equivalent to an ultra-marathon. This race exists to enlighten all those who think the Free State is that flat part on the N1 on your way to Cape Town. Come and challenge yourself in with the unique and extreme 4Peaks mountain race. The race’s home is in the picturesque Moolmanshoek Private Game Reserve. This unique circle race runs along the tops of the Witteberg Mountain range that makes an unforgettable horse shoe that encloses the Moolmanshoek valley. The race is hosted by the Nel family at Moolmanshoek. Most athletes make the race a weekend affair with family and friends and added value like a breathtakingly beautiful mountain bike ride the day after the race. Apart from these two races there are several hikes, bird hides, lots of game that can be viewed on horseback, or from a horse cart or from a 4×4 game viewing vehicle. The terrain is definitely not for the faint of heart and good preparation is a must. Four very distinctive peaks, make up the race as one circle the Moolmanshoek valley. The route is not marked but very easy to navigate with marshals and very clear signage at key places. There are some very steep places that needs to be navigated with the two toughest places being behind Jakobs berg and Visierskerf. 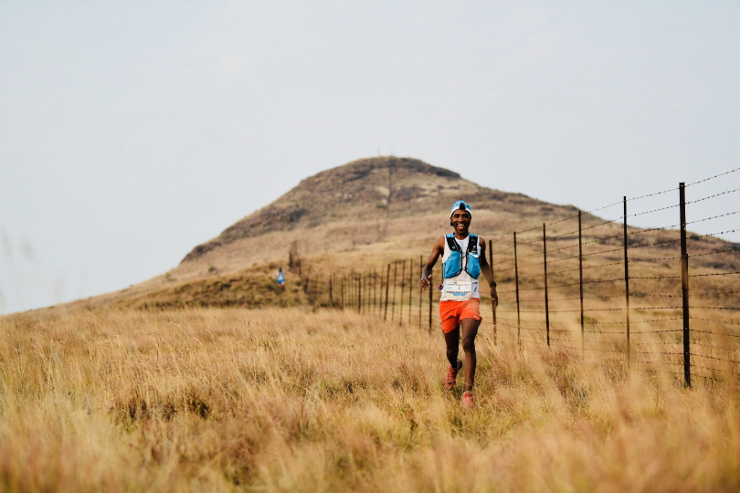 The other thing that makes the challenge of the 4 Peaks so unique is that it is an unsupported race with every athlete required to carry a list with some safety items and also a provision of water. 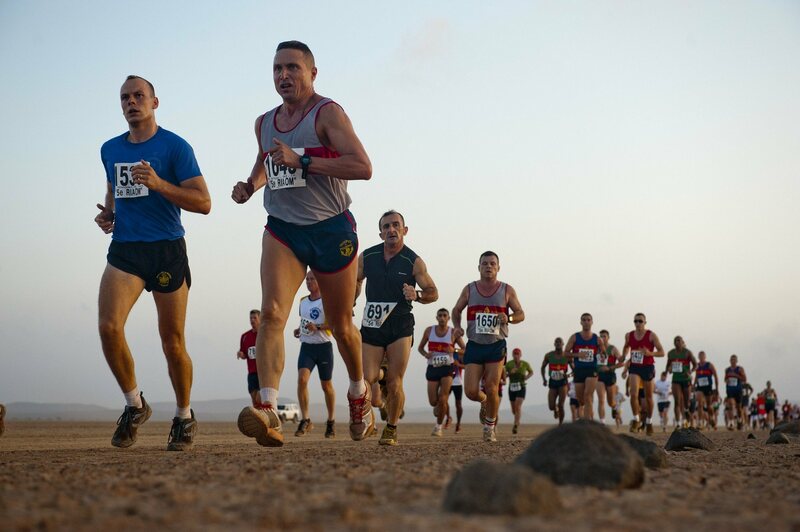 The race is a combination of steep up hills and steep descends with some parts that are just amazing to run. The easiest part and probably most enjoyable, being the section between the second pyramid up to the descent behind Jakobs berg. After that comes the tricky section behind Visierskerf and the climb up to the highest point of the race at Sikonyela’s hat. After this is it is slow, or rather fast descend (depending on the condition of one’s legs) to the donga’s. Coming out of the dongas leaves one with a short and relatively flat portion to the start/finish line. The total distance is only 24km, but one will never think of 24km in the same way.